Enlisting the significant milestones achieved by the government since 2014, the Prime Minister said that while the country had taken rapid strides in improving the lives of its people, it was noteworthy that this government had achieved all this despite being totally free from corruption, a malice that was endemic in Congress years. 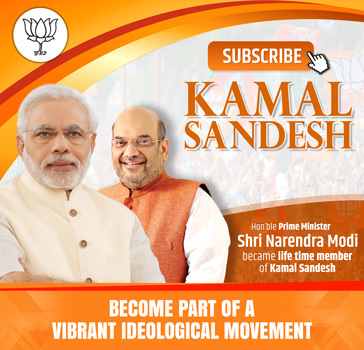 Urging his supporters to turn out and vote for the upcoming Lok Sabha elections in support of the BJP, Prime Minister Modi asserted that only the stability, transparency and decisiveness of a BJP government can fully address the issues of a developing economy like India while also working tirelessly towards fulfilling the aspirations of the young, 21st century India. Concluding his address among the large crowd of supporters, PM Shri Modi took on the TMC government in Bengal for inciting political violence against BJP workers in a bid to silence criticism and said that such acts have further strengthened the resolve of the BJP workers to ensure that democracy returns to Bengal and urged his supporters to vote for the BJP and put an end to this culture of violence against political opponents that has become so endemic in Bengal under the TMC government. He said that the cultural heritage of Bengal is one of tolerance, knowledge and respect for democratic values and that the TMC government led by Mamata Banerjee was totally eroding the cultural ethos of Bengal by indulging in political violence. Showering praise on Tripura’s Chief Minister Biplab Deb, the PM said the state government has improved the law and order situation and developed infrastructure in just one year. 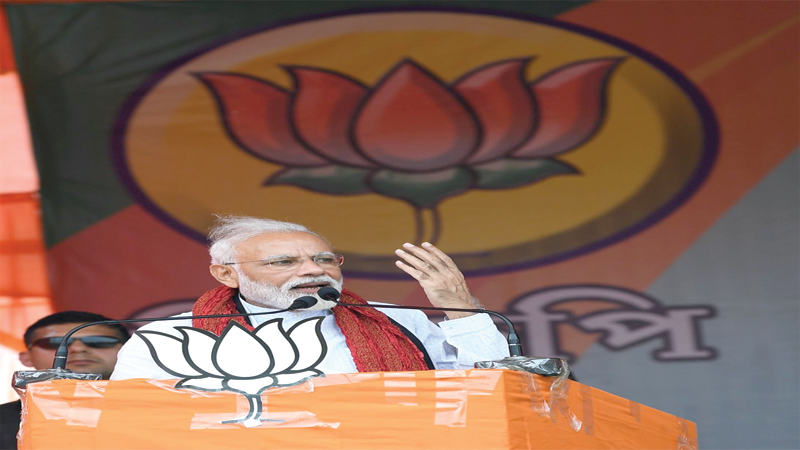 PM Shri Modi said the people of Tripura has set a precedent for the entire country by ousting the Left Front government after 25 years. Attacking the Left parties, he said, they consider their party’s constitution bigger than that of the country’s. “The Left parties don’t want to give the country a direction. They are only keen on improving their own condition,” the PM highlighted. “I have been told that ‘Namdar’ has said that he will make Northeast manufacturing hub. For so many years during the Congress rule, what work did they do in manufacturing? Did they make any manufacturing hub here? But they are experts in manufacturing in abuse and lies,” said PM Shri Modi.